Annapolis was only 8 miles from where we performed, so we had lunch there. There was a group of Singles on Sailboats that packed out the largest room of our restaurant, so it makes you wonder how many people sail in total! 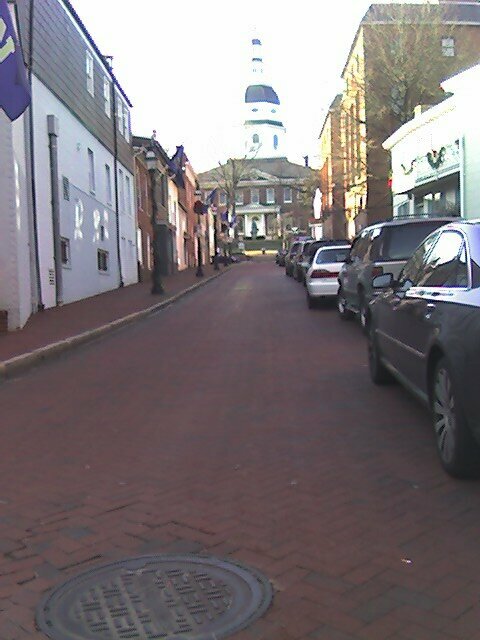 Annapolis was our nation's capitol (and remains the capitol of MD). Their State House used to serve as the US Capitol Building.